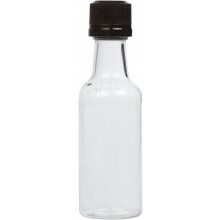 Sets of (12) 50ml mini alcohol bottles are topped with 18 kerr black polypro tamper evident caps. 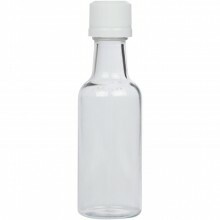 These black ribbed caps offer a tamper evident seal making these bottles great for many sample size products such as wines, liquors, sauces, marinades, and more for both business and personal use. 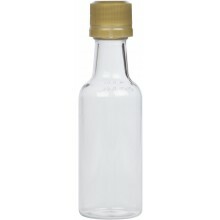 © 2015, Mini Alcohol Bottles.